Links for additional support organizations (airport greeters & welcome home signs, Bibles, devotionals & Bible studies, cards & letters, care packages, chaplain resources, coloring pages, humanitarian aid, military working dog & handlers, pet adoption & foster care and prayer support) are all listed above. Once your application is approved, you will be able to send troops books, DVDs, games and relief supplies. You will also have access to our Pen Pal area and Post Card Jamboree. On average our volunteers fill over 1000 requests a month. Get started today and get your company, civic group or place of worship involved with supporting our troops. This unique program lets you select and purchase books for members of the U.S. Armed Forces serving overseas. You simply buy the books of your choice from the Books for Troops page. Booksamillion.com will address and send your books to the soldiers - and you pay no shipping charges on the books you buy for the troops! We work in conjunction with U.S. military bases and National Guard offices to send the books to unit commanders overseas. The commanders then distribute the books to the individuals in their units. Please note that for security reasons we are not allowed to publish the addresses of the units that receive the books. If you have a family member serving overseas, you may send details including the unit number to business@booksamillion.com. We will attempt to add the unit to the list of recipients. 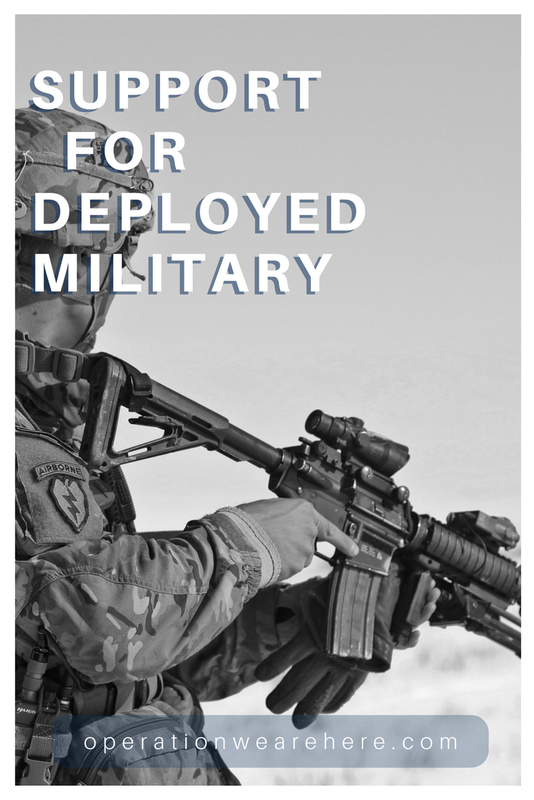 We are the nation’s leading non-profit organization dedicated to providing e-books and e-book technology to military personnel who are deployed overseas defending our country. E-Books for Troops, Inc. is a 100% volunteer-based and are dedicated to raising money to provide sponsored units with e-book readers and e-books in order to improve the quality of life and morale for our deployed Soldiers, Marines, Airmen, and Sailors. Fun reading materials for our Heroic Troops in uniform. Author and JEOPARDY! Champion Jack Honig pens fascinating and intriguing books that emanate from the depths of the alleys and valleys, mountains and fountains, ridges and bridges, recesses and abscesses of his unparalleled fertile and furtive imagination. All of these self-published writings are distributed at no charge to our undaunted fighting forces, both stateside and across the globe. They are also for sale to the general public at the cost of $10 apiece. All proceeds are employed exclusively for the purpose of increasing their availability to as many Soldiers, Sailors, Marines, Airmen and members of the National Guard and Coast Guard as is humanly possible. Magazines for Troops was formed to fill a common request by deployed troops - a need for reading material. We distribute boxes of magazines to our deployed men and women who are serving America in any branch of service. Our intention is to remind these brave warriors that they are not forgotten, and to put a smile on their faces! Each box contains an average of 40 magazines, including at least 30 different titles. The idea is to cover a broad range of subjects to satisfy a large variety of interests. Subjects include guns, cars, trucks, motorcycles, 4-wheelers, hunting, sports, celebrity, fitness, country stuff, boats, skiing, and many others. My name is Chris Tarbassian and back in March 2003, I started a small home-based "project" which I called Operation Comix Relief. My goal...to get some comic books to my friend Major (then Capt.) Tom Chafe (an Air Force Flight Nurse), so that he could pass them out to the ill and/or wounded soldiers, to provide them with some diversional activities (as well as for him to read) during Operation Iraqi Freedom. Well, it's still home-based, but my idea has evolved into a much larger operation, and as a result of which, I am now able and willing to send comics to any front line soldier. If you would like to donate to us, or know of a soldier who you think might like to receive one of our package, please write us at the address provided. Operation Paperback is a national, non-profit organization, whose volunteers collect gently-used books and send them to American troops overseas, as well as veterans and military families here at home. In addition to overseas locations, Operation Paperback provides books to wounded warrior programs and veterans hospitals located within the United States, as well as USO centers at US Airport transit points. In 2012, we also added a new program that offers a free shipment of books to any military family. Providing books from military Professional Reading Lists to support servicemember professional development goals. Supporting chaplains as they counsel troops, both before redeployment and after reunification, with a variety of specifically-requested titles. Supplying books for the annual book give away at NSA Souda Bay in Crete, Greece for service members and their families. Supplying children's books to deployed soldiers who read to their children via webcam or on DVDs. Send thanks to our Troops at Thanksgiving! So you can’t send a turkey – but you can send a DVD movie, popcorn, a bag of candy corn, and a letter filled with things you’re thankful for! Send a photo of you and your family too! Project created by the AdoptaPlatoon™. Send troops books, DVDs, games and relief supplies. Songs 4 Soldiers sends music care packages to our men and women serving overseas to thank them for all their sacrifices. Sending games and snacks to give the troops something to do in their down time! All kinds of games are needed: board games, cards, dominos, Scrabble, hand-held games, puzzles and anything you think they would enjoy doing! And don’t forget the snacks -- candy, chips, salsa, popcorn, beef jerky, just to name a few! Project created by the AdoptaPlatoon™. MEGS is a portable, self-contained and highly durable multimedia platform created to give our troops endless hours of fun and relaxation. With the ability to be set up and broken down in minutes, MEGS can be delivered to forward operating bases, ships at sea or to stateside installations. Built to accommodate four players simultaneously, each MEGS supports the Xbox® 360, Sony Playstation® 3 and the Nintendo® Wii™. MEGS systems come with all the necessary adapters, cables and routers, for easy set up for service men and women. Operation Supply Drop provides relevant and relatable ongoing support to troops and their families as well as creates the opportunity for the larger community to get involved with the active military population. Back Me Back Home is a unique program that gives our supporters the opportunity to help two missions with one donation. For a $30 donation we will send two dozen of our homemade cookies to a military member of your choice, or one from our list of nominees. Approximately half of the money from this donation supports our local programming for disadvantaged families. All packages of cookies can include a personal message from the donor and are securely insulated with bags of delicious homemade caramel corn! We utilize a team of volunteer bakers known as our “Cookie Crew” to bake the cookies. Our goal is that the taste of our homemade oatmeal chocolate chip cookies will help our military men and women feel like they are “BACK HOME,” even if it’s just for a moment. Edible Spirits is so excited to announce that we have just teamed up with TroopCarePack.com: a family run organization dedicated to putting smiles on the faces of the men and women serving our country overseas. TroopCarePack.com is unique in the respect that you may send care packages directly to the recipient of your choice or if you do not have anyone specific to send to, we keep a list on file of those troops that would love to receive additional support and care. Give your loved one a taste of home with an Edible Spirits Freedom Cake. Each cake is made-to-order, specially packaged to survive the journey, and shipped to APO/FPO addresses overseas. E-mail us a picture, and we’ll include that with your order for no additional charge as our contribution to the troops overseas. Forgotten Soldiers: You can also send a Freedom Cake to a Forgotten Soldier. The Hershey Company has been supporting U.S. troops for decades, and has sent thousands of cases of candy to active military servicemen and servicewomen who are serving overseas. To request a care package for a serviceman or servicewoman who is serving overseas, please complete the application using the above link. Thanks to a cooperative project between Soldiers' Angels and Bake Me a Wish, deployed service members can receive birthday cakes from patriotic Americans. For every Freedom Cake purchased on Bake Me a Wish, a birthday cake will be sent to a service member in the customer's name. Bake Me a Wish will generously donate their delicious birthday cakes, and Soldiers' Angels will send each one on its way. Operation Caramel Corn ships caramel corn to deployed military personnel. The Angel Bakers are a group of highly dedicated Soldiers’ Angels who bake homemade treats for our deployed military heroes. Each month the Angel Bakers send specially-made cookies, brownies, and other treats to units identified by Soldiers’ Angels as needing extra Angel love. Our aim is to show our heroes how much people back home appreciate and care about them. The purpose of Treat The Troops is to let deployed American military persons, on the front, living in tents or temporary quarters, know that people at home are remembering them. Home-baked cookies and other "comfort Items," along with a note of thanks, are sent. Site includes tips for baking and shipping your own cookies for the Troops. Since 2005, Boca Java and our loyal customers have donated over 8.1 MILLION cups of gourmet coffee to our U.S. Troops serving honorably all around the world. Boca Java has formally partnered with the USO to bring coffee to our Troops. Boca Java will match each bag donated by our customers. At WILLIAM III, a portion of every sale goes to support our Coffee For The Troops Program. WILLIAM III has been sending coffee care packages to the troops deployed in Afghanistan, Iraq and to the personnel aboard the USNS Comfort and other detachments in harms way for over 9 years. We have sent approximately 17380 care packages to date consisting of whole bean, ground, regular roast and various flavors. In our travels to see the Troops, many share with us their sense of loneliness, isolation and feelings of being forgotten. Their commanders tell us that some Soldiers never receive mail from home. In response, Green Beans Coffee has launched Cup of Joe For A Joe to let anyone, anywhere in the world, say thanks to our troops through the simple act of buying a cup of coffee and having it delivered along with their own personal note of encouragement into the hands of a deployed Soldier. Holy Joe's Cafe is an all-volunteer non-profit that sends coffee to U.S. troops around the world via a network of cafes run by military chaplains. All are welcome to join us in this nationwide volunteer effort! Holy Joe's Cafe is a Coffee House Ministry – United Church of Christ military chaplains have found an old way to invite U.S. soldiers into a safe and informal place where they can receive spiritual care and good coffee. Congregations and individuals can support the Coffee House Ministry and simultaneously participate in the UCC Coffee Project by sending Equal Exchange Coffee to the military chaplains in Iraq, Afghanistan, and Kuwait. Jessica’s Hope Project focuses on sending fitness-oriented care packages overseas to all branches to the military in many different parts of the world. It started with a simple email to the CEO of 24 Hour Fitness. We are now trying to raise money to cover the shipping of care packages overseas to our deployed military. The average deployed military individual loses 50 pounds of body weight per deployment (information from the United States Marine Corps). Our goal is to keep this from happening by providing protein bars, muscle milk and vitamin supplements to as many military individuals as possible to maintain their physical well being and mental sharpness. By doing so, we are increasing the odds of our military not only doing their physical and mental best as they fight for our country but also coming home to their families and loved ones in better shape than in the past wars when these products were not readily available. Operation Salami Drop, sponsored by Hobby's Delicatessen and Restaurant in Newark, is trying to send a salami to all of our Soldiers in Iraq and Afghanistan. Help bring a little bit of home to these brave troops. Your $10 donation can send a Soldier a salami. Phone cards help heroes call home. There’s nothing more wonderful than hearing the voice of a loved one back home. You can help our deployed service members stay in touch with family and friends, and help make being away just a little more bearable. Cell Phones for Soldiers hopes to turn old cell phones into more than 12 million minutes of prepaid calling cards for U.S. troops stationed overseas in 2008. To do so, Cell Phones for Soldiers expects to collect 50,000 cell phones each month through a network of more than 3,000 collection sites across the country. US service members abroad: call home for free - Calling phones in the United States is now completely free for all uniformed military personnel with a valid United States Military (.mil) address. This means that troops stationed around the world can now call the United States at no cost, right from Gmail. Step 2: Click the 'Call phone' link in your chat roster and use the dialpad to make calls. Similarly to free calling within the U.S., free calling to the U.S. for service members will be available for at least the rest of 2011. Calling to other destinations starts at as little as $.02/minute, and calling from Gmail is not available in all locations. Help our troops call home. The Department of Defense Military Exchanges have been authorized to sell the following prepaid calling cards to individuals and organizations who wish to purchase these cards for our troops serving overseas in Operation Enduring Freedom and Operation Iraqi Freedom. USO Operation Phone Home is a campaign designed to provide prepaid international calling cards to as many of our service men and women overseas as possible. This program designates 100% of monetary donations to the purchase and distribution of 100, 300 and 500 minute global calling cards to deployed service members. With the VFW's Operation Uplink, Troops can call home–at no charge—from internet cafes throughout Iraq, Afghanistan and Kuwait every month of the year. Our mission is to build a communications network independent of military networks employing state of the art Wi-Fi, VOIP telephony, Video Conferencing and Satcom technology to enable our troops to communicate free of charge from their base camps with their families at home by internet telephone, instant messaging and video conference. Operation Pillowcase began in 2004 with a request from a Soldier in Iraq for a dark pillowcase. Due to its popularity, more and more pillowcases were made and sent. Since 2007 more than 4000 pillowcases were sent to Troops in Afghanistan and Iraq. Requests for pillowcases are received throughout the year. If you would like to make pillowcases to support this project, you may download the free pattern listed on the website. If the pillowcases are to be sent with Christmas stockings, there are deadlines. A group of volunteers in my community began Operation Pocket Field Pillow in February 2009, when my son deployed to Afghanistan. To date, we've made and shipped over 10,000 ACU pocket field pillows to our combat troops and over 2,000 fleece travel pillows to our wounded. Our aim is simple; to keep working to let our troops know that we will not forget them. Our pillows are small enough to store in a ruck or pocket, and are meant to be taken out in the field on missions. All the ACU and fleece we use is donated, and the few donations we receive help pay to ship boxes of our field pillows to Iraq, Afghanistan and Germany. Visit our blog to learn how you can make an ACU pocket field pillow. In cooperation with Harris Pillow Supply, we are accepting donations in support of our cause which is to provide a better night's sleep for our troops in Iraq and Afghanistan. These pillows are packable, cozy and washable. Our goal is simple. Supply a large, very comfortable, high quality pillow to as many United States Military and National Guard service men and women as possible; to those who serve our country now, those who have served in the past and those who will serve in the future, including the families of fallen soldiers. We hope that every time they lay their heads on their pillows, they know how much we all stand behind them, support them, admire them, respect them and revere them...and how God has blessed us with their selfless courage and dedication. The mission of Support a Soldier is to provide U.S. military men and woman with non-lethal ancillary equipment and other necessities, thereby improving their safety, readiness, comfort and/or efficiency in areas of combat operations. The primary mission of the Armor 4 Troops Foundation is to provide new and replacement "state-of-the-art" anti-ballistic eyewear, Under-Armour, personal gear, and other critical equipment and services directly to United States troops in the field that are currently engaged in war zones or other peacekeeping and humanitarian missions throughout the world where combat violence is a threat. Operation Helmet has no connection to or association with any manufacturer of helmet suspension systems. Our only goal is added protection for our troops. If a better upgrade comes along, supported by sound scientific data from both civilian and military studies, we'd add it or switch to it in a heartbeat. We do not have an official relationship with any branch of the uniformed services, although we provide helmet upgrades to all who ask, when money allows. The helmet pad kits Operation Helmet buys and sends to deployed combat troops, over 83,000 to date, are the ones the Army started with originally. At the request of Natick Soldier’s Lab, Oregon Aero developed helmet pads that Natick touted as 'the gold standard' of helmet pads. These pads were used for the first 600,000+ ACH helmets. While the current GI helmet pads pass the same laboratory tests as those originally provided, they have proven so hard and unyielding that troops take their brain buckets off or loosen the chin strap for pressure relief, severely compromising protection. In addition, The Lawrence Livermore National Research lab found that too-hard helmet pads can actually add to brain damage from a blast wave, further adding to the incidence of TBI. Adopt A Sniper is comprised of a confederation of military and law enforcement snipers from across the country who provide their brothers-in-arms with materials that make their lives...and their jobs...easier. Items range personal hygiene gear to tactical products such as holsters, high-speed rucksacks, new optics, and rifle accessories. Covert Threads developed a line of military boot socks, physical training socks, and dress socks along with other improved garments for the Marine, Soldier or anyone looking for comfortable yet rugged socks that stand up to the rigors of harsh climates and conditions. These socks have been worn by a former Marine in Fallujah, Iraq. You can read more about his story on the About Us page. In honor of our men & women serving, we are continuing the “Buy 10 pair and get 3 additional pair free” promotion. Shop from our soldier-supplied wish lists to send socks to US deployed troops, including a personal message of support. Fox River pays the shipping cost on these orders! For rugged conditions, Fox River socks provide comfort and durability these soldiers want and need. Blessings to our soldiers! As of September 1, 2009, the Armor 4 Troops Foundation has delivered or shipped directly to our American troops in the field, 34,011 pairs of protective anti-ballistic eyewear, in addition to the thousands of multi-function tools, Under-Armour, anti-bacterial socks, compressed rubber boot pads and many other sundry products to improve the quality of life to our troops. Helps prevent blast and fragment injuries to the groin. Supports soldiers and their loved ones by providing products that bring comfort, encouragement, and protection. Psalm 91 bandanas, dog tags, military travel pillow, Psalm 91 gift set. Chaplains are asking for them, and our servicemen and women are looking for them. Please pray about your involvement in this ministry to our servicemen and women. Not only are the bandanas an inspired tool for spreading God's Word, but they are useful also to cover the face from the sand and dust; as a sweat rag; and as an emergency wrap for a splint, sling, or tourniquet. TroopsDirect supports our front line troops exclusively at larger unit levels with the objective of making them the healthiest, most energized and highest spirited Marines, soldiers, aircrew and sailors that we can. We function as a non-profit ‘back line’ of supply for units based in Afghanistan, Africa, at sea and other in other ‘hot spots’. We communicate with the front lines daily and provide -in bulk- detailed hygiene, nutrition, gear and K9 support. Contrary to most groups providing smaller and seasonal care packages for individual soldiers, TroopsDirect ships in bulk every week in battle proven cartons manufactured to our exacting specifications. Furthermore, TroopsDirect support is the most timely, accurate and adaptable amongst known support organizations. As the official Department of Defense agency for providing entertainment to U.S. military personnel overseas, Armed Forces Entertainment and its performers have the honor of supporting soldiers, airmen, marines and sailors by bringing them the very best in American entertainment. Entertainment has long been one of the biggest morale boosters for U.S. military personnel serving overseas. Today, Armed Forces Entertainment hosts more than 1,200 shows around the world each year, reaching more than 500,000 personnel at 270 military installations. From muddy make-shift stages to show-stopping extravaganzas, the performances bring a piece of home to those stationed far away from home. Purchase an AAFES Gift Card(s)/ Exchange Catalog Gift Certificate(s) to include in your care package or letter to a military family member, friend or loved one to be used at a local post exchange around the world. Please remember to send to only recipients that have Exchange privileges. This is a grassroots effort to show our support for the troops and their families. We tried to think of something we could send Dad or Mom that they could easily send back to their kids. This is something easy to ship and something the kids can hang on to until Dad or Mom gets back home. The Freedom Pens Project is an all volunteer effort spearheaded by the members of SawMill Creek Woodworkers Forums to provide custom hand crafted pens to American servicemen and women overseas. We welcome anyone who is interested in our project and willing to donate their time, talent or services to assist us in our goal of providing beautiful writing instruments for our military stationed in foreign countries who are in harms way. Every Freedom Pen that is delivered will serve as a constant reminder to our troops that they are not alone and will have our continued support until every one of them returns home. What is a yeoman? A Yeoman is a sailor responsible for administrative tasks. Your Yeoman is responsible for personal, financial and organizational duties – while your military duties take you overseas. Your Yeoman takes care of service members obligations while deployed, providing services of shopping and mailing of gifts and cards, to bill pay service and weekly home check-ins. These are just a few of the ways that Your Yeoman can give a service member less to worry about while deployed. Date Reminder Service, so you do not forget them. Purchase, sign and mail birthday, holiday, anniversary and “just because” or “thinking about you” cards. Purchase and mail birthday, holiday, anniversary and another other special occasion, gifts. Monthly Care Packages to deployed service members. You can sponsor a service member for a 9-month deployment, or donate a small amount that will assist with their unique needs and keeping families from becoming disconnected. If you are a deploying service member needing help, you can sign up for a package. Crafting camouflage, packable quilts for our troops. Thanks to America’s bowling community, when active duty troops around the world have some down time, they can enjoy some fun and competition via a lightweight, portable carpet bowling lane kit, shipped complete with a rubberized bowling ball, ten pins and score sheets. We are a not-for-profit charity that collects and sends new and used golf balls, clubs and equipment to our troops currently serving in combat zones in Iraq and Afghanistan. Bunkers also supplies golf equipment to Wounded Warriors Programs around the country to aid in the rehabilitation of our injured veterans. The objective of Operation Military Stress Relief Doll is to show support for our young men and women in the military and to let them know they are appreciated and not forgotten. We do this by making and distributing our Dang-It Doll to them. Each doll has a poem and note of thanks. USO2GO delivers the USO’s most popular services to troops in remote and restricted areas. Everything from beanbag chairs, snacks, coffee, and toiletries to phone cards, DVDs, XBox®360, PlayStation® 3, and Wii. Also available are laptops, musical instruments, art supplies, footballs, Frisbees, and horseshoes. Developed with feedback from deployed troops, USO2GO kits change as their needs change. Units can select eight variations that can be customized to fit the needs of individual units stationed on Forward Operating Bases (FOBs).